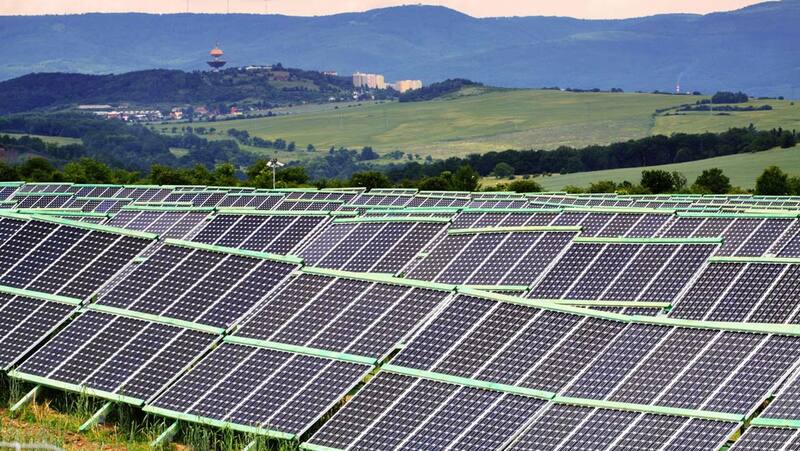 Solar farms made of multiple large-scale panels are becoming increasingly efficient. This, in turn, is influencing their popularity as an alternative energy source for regional and national power grids. Despite this, a range of environmental particles and dirt types can impact on the ability of solar panels to gather energy. When this material comes into contact with solar cells, they may disrupt the panels, by either reflecting or absorbing sunlight, which in either case reduces the efficiency of the panel as a whole. Grit, dust and dirt may also directly damage the surface of a panel, thus reducing its efficiency even further. A variety of cleaning strategies have been tried and tested to keep solar energy flowing without undue loss of sun exposure time or panel function. One of the latest is the use of robotics in keeping panels free of dirt and other undesirably occlusive material. How Do Solar Panels Get Dirty? Solar panels can acquire a relatively wide range of dirt, much like large windows or other flat glass surfaces. This can include dust or soil particles raised by the wind and deposited onto the panel’s surface. Other forms of solar panel deposit include leaves, pollen, air pollutants, road or vehicle-derived pollutants and bird droppings. The dirt accumulated by solar panels can also be more diverse based on their specific location; for example, solar farms in the Middle East may be particularly affected by sand raised by storms in nearby deserts. Contaminants of any kind must be removed regularly to avoid a significant loss of efficiency. This is due to the serial conformation in which solar cells are laid down; even if only some of the panels are dirty, they will drag the performance of all the surrounding cells down with them. Some contaminant types could also damage the specifically-designed surface of the panels if they are allowed to remain in place over time, thus also losing efficiency and other necessary components of a solar cell’s composition, such as its insulation. The main dirt types that may pose these risks include sand, and large particles high in carbon and pollutants that arise from industrial or construction settings; such as concrete, cement or limestone dusts. A publication from a specialist cleaning company also claimed that solar farms in areas with low rainfall are also at risk of having dust or dirt particles burned into their panels’ surfaces. It could be argued that natural forces and occurrences, such as gravity or rain, could help keep a solar panel clean over time. However, rain may be intermittent and location-dependent, and result in the accumulation of dirt at the bottom of a panel, or in their corners, in any case. Therefore, regular active cleaning is necessary for solar panels to remain at peak performance and condition. This is a main point of the argument for robotics in solar-panel cleaning. Smart devices such as these could detect the presence of dust or other forms of contamination and then spring into action automatically to clean the panels. In addition, solar panels are rather delicate and require specific cleaning methods at certain pressure levels to remove different contaminant types. Cleaning work on solar panels also needs to be completed quickly and in high volumes. For example, up to 7mm of cleaning fluid may need to be applied in quick succession to avoid an energy loss of up to 7 percent. A combination of these challenges led the prominent research and development groups SINTEF and ProDSP Technology to collaborate on the testing of a new form of robot arm to carry out all these vital yet fiddly tasks. The researchers, led by Birgit Ryningen, evaluated a series of glass plates with a range of dirty deposits, including some of those described above, to assess the effects of this contamination on solar panels, and the most energy- and cost-friendly ways to clean them. This led to the development of a robot that slides on a rail system along a solar panel. The robot cleans the surface with a micro-cleaning pad, the final structure of which was also the result of extensive testing with many different materials and textures. This pad should completely remove dirt from a panel’s surface without scratching it. This all seems very well for the solar panel in need of a good cleaning. However, it fails to cover the question of solvents or fluids that remove tougher dirt, or contaminants that might affect it? SINTEF have a simple answer: they don’t want to use them. Scatec Solar, the Norwegian power company with interests in the robotic cleaner, want to avoid the use of chemical cleaning agents. This will be done in order to avoid exposure to their residues or fumes in humans working or living near one of Scatec’s power plants, and to avoid further contamination of the solar panels themselves. Instead, the robot will release a vapour of tiny water droplets onto the panel’s surface. This, in combination with the cleansing micro-pad, is tuned to remove any kind of contaminant of any stubbornness or thickness. SINTEF and ProDSP’s work will also translate into precise calculations of how regular and energy-intensive a robot’s work will have to be, depending on the location of the panel it is attached to, and the ambient environmental conditions that determine the level of contamination it will face. This should make the robotic system as economic and eco-friendly as possible. In fact, the robot cleaner is so promising that researchers at SINTEF are considering extending its use to other cleaning problems, such as windows in high-rise buildings. This is what the robot looks like. Photo: Promoter Pro DSP Technology, Hungary. Robotic applications such as these may always raise the issue of taking what could be paid work away from humans. However, in the case of solar panels, robot-powered cleaning may be the most intelligent, energy-efficient and cost-friendly way forward. Scatec Solar says that whilst it values the labour that humans can take on, cleaning solar panels for peak efficiency may not be one of them. However, employees at Scatec and similar companies may find their time better spent programming, fine-tuning and repairing these window-cleaning wonder machines in the near future.